DJI, the world’s leading aerial platform maker, said Wednesday it agreed with Lufthansa Aerial Services to jointly develop commercial applications for drone technology. 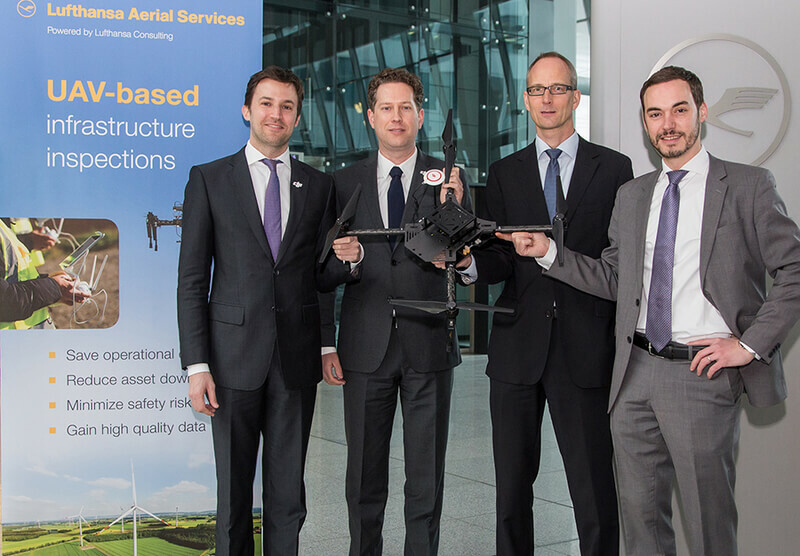 Under the deal, the Lufthansa Consulting unit will use DJI drones, integrating hardware and software, and conducting data analysis from drone sensors and systems for key clients. “Lufthansa Aerial Services is a highly-regarded company and a perfect partner for DJI in joint market development,” said Martin Brandenburg, DJI’s European marketing director. “The feedback from Lufthansa clients is of great value for the further development of our products." Lufthansa Aerial Services recently completed a pilot project, using DJI equipment to inspect rotor blades on wind turbines for a manufacturer. The task previously required manual inspection using a steeplejack – a more-dangerous and time-consuming method. Besides offering better safety, drones can collect data used later for analysis, such as how frequently a rotor blade needs inspection and maintenance. Other potential uses for DJI technology include using thermal-imaging systems on drones to facilitate inspections of aircraft, power lines, roads, railways and above-ground pipelines, as well as monitoring of construction sites and crops.